Manchester agency Music has been appointed by British Cycling after a three-way pitch. The agency is to create and deliver Let’s Ride, a year-long campaign to get the UK cycling. 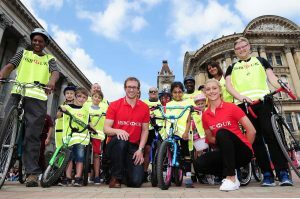 It will incorporate their five programmes, including HSBC UK City Ride, that make bike riding accessible to everyone. The campaign will launch in April and will be seen online, outdoor and in print. Music aleady works with The British Fashion Council, Manchester City Football Club, Universal Music and Dr Martens.